This is exactly what I was looking for as a gift for a dear friend. The only thing I wished that it had with it is the liners and mitts. 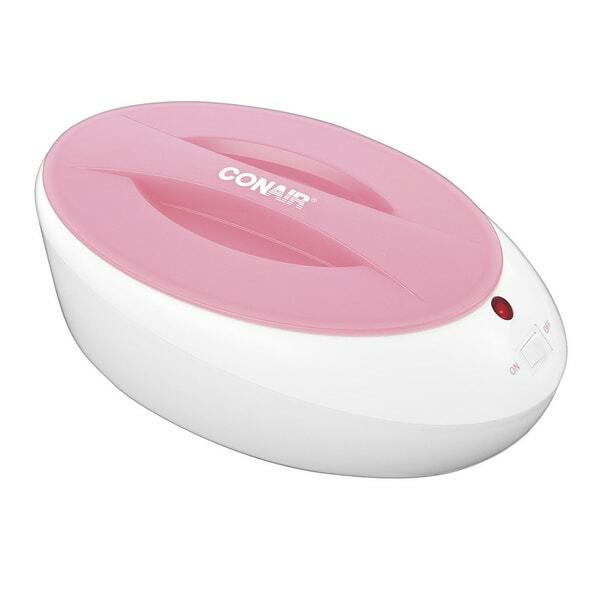 Give your skin the treatment you deserve with the true glow by Conair heated paraffin Bath. The warmth of a relaxing thermal paraffin bath immediately revitalizes your skin. A deeply exfoliating and hydrating spa treatment, the heated paraffin bath infused with soothing aloe vera alleviates dryness and decreases the signs of aging and sun damage, while thoroughly smoothing and softening your skin. Simply peel off the wax, and discover your new soft skin. The thermal paraffin bath I really enjoy, except once the wax is totally melted I need to shut it off and let it cool somewhat because it's a little to hot for my hands. Perfect for over worked hands! My overly cracked hands from working love this moisturizing warm treatment. Just like the paraffin dip I 1st had getting a professional manicure. It does take 2 hours to fully melt the paraffin but is well worth the wait. One of the only therapies I know of that actually cure dry cracked skin. This paraffin bath melts the wax pretty quickly. Arrived on time in good order. Happy with it! Great little paraffin bath. Have used several times, it does take a while to warm up but we have really liked using it the few times we have used it! This product is NOT worth the money. The unit barely gets warm enough to make any impact on arthritic hands. I would love to return it but I already melted the wax, etc... Find another brand. We have 4 at our clinic. Love the price and ease of use. Great to have living in a dry climate. Wish it was easier to find replacement was. Small. Use for hands only. "What are the dimensions of this unit? Thanks!" This item is approximately 6 x 11.2 x 7.1 inches. "Can this be used to dip your whole foot in or does it just accommodate the heel? It's for a woman's 9." Hello yazstopia, it is too small to dip your entire foot in. You might be able to dip in two sections, the front of the foot and the back of the foot. Thank you for shopping with us. "Hi. Can this be left plugged in? Also, where can I get extra wax for this unit?" Hi pudding1, we do not recommend leaving this item plugged in for extended periods of time. Unfortunately we do not offer additional wax at this time. We apologize for the inconvenience.